Dance and Gymnastics work great hand-in-hand. The club provides three fantastic private squads for school children aged from reception class to high school. 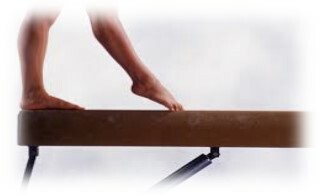 Children are taught core gymnastics skills on the vault, bars, beam and floor. We are also privileged that our head coach has her very own tumble air-track to aid students with their learning. Squads are split via ability- we have INFANTS, JUNIORS AND INTERMEDIATES. We also have an 'elite' training squad called ‘Defying Gravity’ for students with particular aptitude. As an age guideline for booking- infants are 4-6 yrs, intermediates are 7-9 yrs and advanced 10-15 yrs BUT at your first class after coming to the age appropiate session- the coaches will assess your child and see where they will fit best in terms of their ability. So this could be up or down a squad- or maybe the age guideline was just right for you! As a club, we strongly believe in tangible achievement and as such; students are encouraged to work towards completing our award scheme (badges) as well as partaking in our annual display and in-house competitions. These are great occasions to show off the students’ hard work! However; we appreciate some students wish to attend just fun thus such like is not compulsory. The club trains from Holt Park Active- but it is completely private in the sense the use of the hall and equipment is exclusive to our students and staff. We strive in offering an admirable student-teacher ratio resulting in more attention and support on apparatus for each student. Classes run every Saturday afternoon term time. 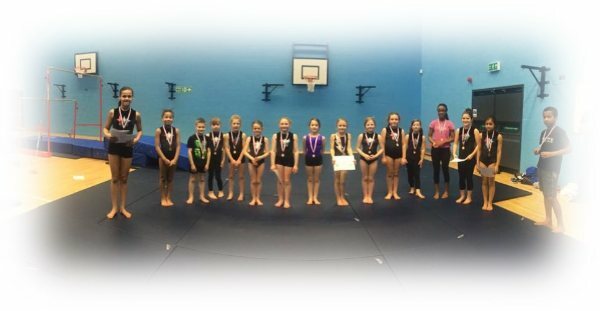 We have four fully qualified club coaches who are affiliated to British Gymnastics (BAGA). The Academy is fully insured and all teachers/helpers are DBS checked with relevant first aid training. Full term payment is due on booking should a place be available. If you haven’t enjoyed your first class, you must notify the Academy on the same day so we can a) rebate your remaining term fee and b) release your place. Failure to inadequate notice or ignorance, your term fee will be forfeited. Missed classes due to ill health, parties, vacation etc are non-refundable. Long term illness is dealt with compassion by the Principal. Should the child be removed from the lesson programme due to unacceptable behaviour; a refund will not be given. Once placed, you have priority booking for future terms, providing you adhere to the payment situation within that period. Term 1 = Saturday 8th September- Saturday 22nd December 15 weeks. No class on Saturday 3rd November- half term. £90 for term. Term 2= Saturday 19th January- Saturday 6th April 10 weeks. Please note we are back open on 12th January but only for customers last term due to an unfortunate cancellation of class back in November- hence this has been carried over. No class on Saturday 23rd February- half term OR Saturday 16th March due to an external event. £60 for term. Term 3= Saturday 4th May- Saturday 21st July 11 weeks. No class on Saturday 1st June- half term. £66.00 for term. Tuition fees can be made via cash (receipted) or BACS. We do not accept personal cheques. For BACS payment please email info@elevationsleeds.co.uk. The first time you attend the club, please wear shorts and t-shirt/leggings and t-shirt. We do have a club leotard which is available to purchase but this not compulsary (but students may be required to buy one/wear one if they do any external displays). To enrol please fill out the form below. If the squad is full, you will be acknowledged (via email) and placed on a waiting list. If you have been granted a place, you must immediately make payment (how to do this will be detailed on your provisional booking email). To make the booking final, full term payment must be made. Once paid in full, your will receive your official confirmation with start date. Should your child join the squad, and find it is not for them- if you notify us on the same day that they have taken part in the class- we will happily rebate the remainder of term, however should you choose to not notify us or delay notification, you will forfeit your term payment. Missed classes due to vacation/parties/illness etc are not refundable. Long term injury is dealt with compassion via the Principal. Please fill out this form for your Gymnastics Booking. I understand that following my booking I will receive a provisional booking email and on receipt of the correct funds- a place will be given. If the squad is full I understand that I will be acknowledged and placed on the waiting list.